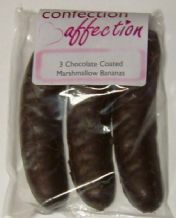 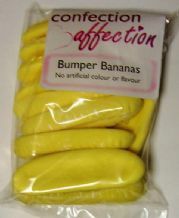 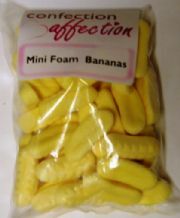 Real Chocolate coated marshmallow bananas. 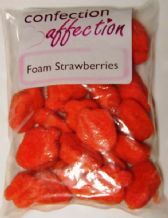 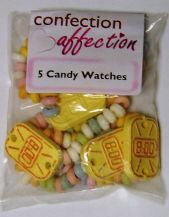 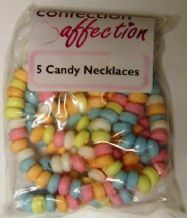 Hard pieces of candy strung on to a piece of elastic - jewelery you can eat!! 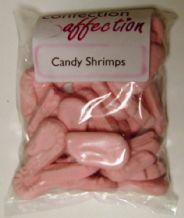 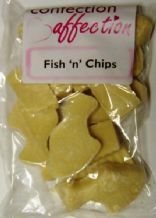 Old fashioned White Candy Fish and Chips. 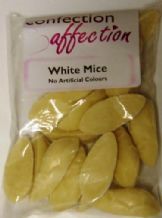 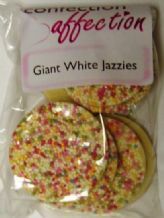 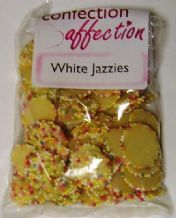 White Jazzies, sometimes known as Snowies, are creamy candy drops covered in colourful crunchy balls. 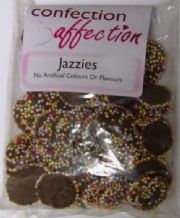 Brown drops of Chocolate flavour candy covered in colourful crunchy balls. 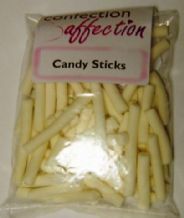 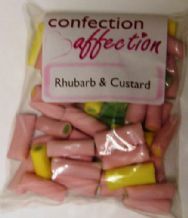 White Candy Sticks - or candy cigarettes with no red tip from years ago - still taste the same.